We have been making micro modal products since the introduction of our men's Basel range in 2006. It has proven so popular that we decided to develop a micro modal underwear range. It seems only fitting that a fibre so soft should be worn next to the skin. Our Ethan quality combines a subtle marl with the stretchy softness of a blend of micro modal and elastane for underwear that feels and looks fantastic. 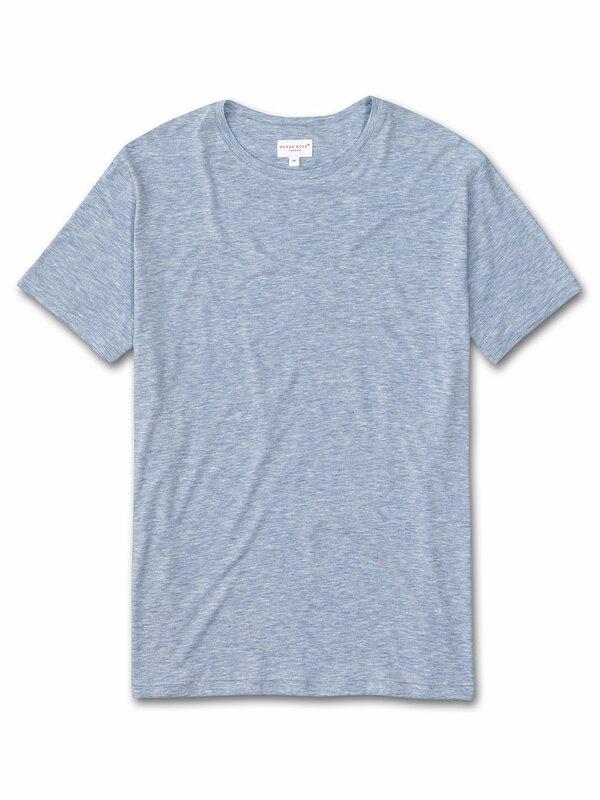 We were so happy with this fibre that we decided to create a crew-neck T-shirt that combined the best features of our Jack and Lewis cotton undershirts and Basel micro modal T-shirts.Our Ethan T-shirt has the soft neckband and manual welt hems of our Jack and Lewis T-shirts and the relaxed, easy fit of our Basel style — creating one of the most comfortable T-shirts you'll ever put on. In the image, model is 6'1" / 186cm tall with waist size 32 and chest size 39. He wears a size M.